Pioneer reporters encountered some issues last week while attempting to cover some of the scheduled events included in the LIU Promise email sent to students on March 25. In honor of health and wellness week, the movie “Super-Size Me” was scheduled to show on March 27 in the Gold Coast Cinema at 9 p.m. However, it was cancelled because those responsible for running the event did not show up. The student employees working at the Hillwood Commons concierge desk said that although they had the movie on-hand, their supervisor advised them not to show it until someone responsible for the event was present. A phone call was never received that the event was to be cancelled, and no contact information for the event planners was provided. With no way to contact those in charge of the movie showing, and no explanation as to how to proceed, the Pioneer reporter went home without a story or review. In addition to the cancelled movie showing, the email informed students about an “Elite 8 Sport Equipment Drive” to be held at 8 a.m. in Hillwood Commons on Saturday, March 30. The event directed donors to stop by the campus concierge with their contributions. When a Pioneer reporter showed up to cover the event, the campus concierge staff member was unaware of any drive scheduled that day or in the future. Sophomore biology major, Rondinio Rameau, who was working at the concierge desk Saturday morning, mentioned there had been no attempts to drop off any sports equipment since he arrived at 8 a.m. Had someone approached the desk to do so, Rameau wouldn’t have known how to assist them since he had not been informed about the planned event. “They didn’t tell us anything about that,” he said, regarding the drive. 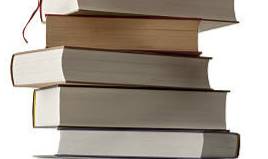 He questioned whether a notice was sent to students requesting donations. Earlier in the week, representatives in the athletic department were also surprised by the Pioneer’s inquiries about the drive. Martin Guillet, associate director for recreational sports, fitness and intramurals, said it was the first he heard about the event. “I asked a few people who I thought might know about it and they were not aware of it,” he said. 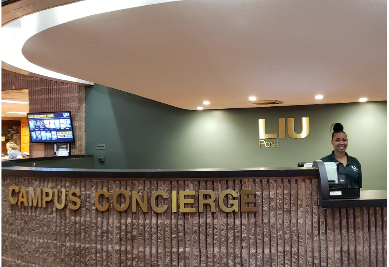 Upon returning to campus that following Monday, the Pioneer reached out to the LIU Promise office to question why the drive didn’t take place during its scheduled time. Residence director, advisor and coordinator, Julia Pagano, explained that the listing for the event was a bit confusing, and she apologized for any misunderstanding. The event’s information was included in the email to serve as a reminder to students going home for the weekend to gather any lightly used or new sports equipment that they no longer want or need. As of Monday, April 1, the campus concierge was aware and ready to accept student donations, which will be given to a Boys & Girls youth shelter in Westchester County, according to Pagano. “If they can’t do it today or tomorrow, students can bring it in over the next couple of days. We’re in communication with the organization, and we can bring the items whenever we receive them all,” she said.